LIVE OAK, FL — Three young children died Sunday after becoming trapped inside a chest freezer in their northern Florida home, according to the Suwannee County Sheriff’s Office. The children were 1, 4 and 6. Family members attempted to perform CPR on the children after they were discovered in the freezer following a frantic search of the property and a nearby vacant home. The children lived at 173rd Place. First responders said they received a 9-1-1 call on Sunday night. “Unfortunately, all efforts to resuscitate the children were unsuccessful and all three children died,” the sheriff’s office said. None of the children were breathing when they were discovered. The incident unfolded as a woman who was watching the children went inside the home to use the restroom. “The preliminary investigation has revealed that the three children, age 1, 4, and 6 years old were playing outside in the yard, when for unknown reasons they climbed inside of a chest freezer that had recently been brought to the residence but was not yet plugged in or brought inside,” said the sheriff’s office. “When the female returned to the yard, she could not locate the children so she woke up the other adult female who was at home sleeping, preparing to work the night shift, and they began to search the property and an adjacent vacant home for the children,” according to the sheriff’s office. 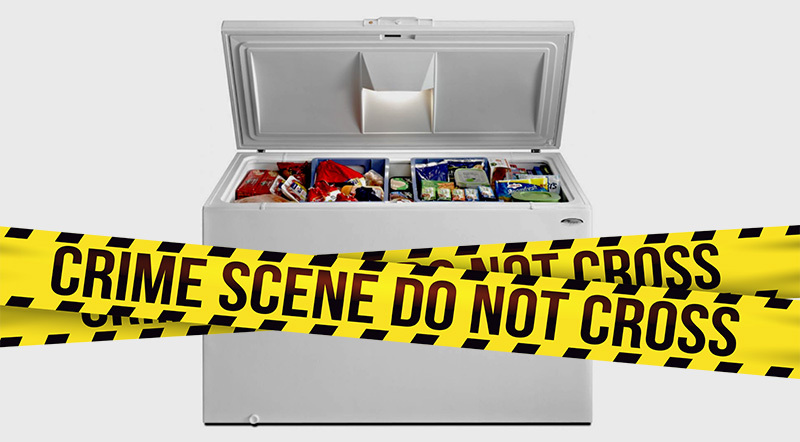 The sheriff’s office said that the freezer was not locked at the time of the incident. It was fitted with an after-market hasp that apparently became stuck. The Florida Department of Law Enforcement is assisting with the investigation. The Florida Department of Children and Families has also been notified.